Today I have for you another post about one of my favourite Asian beauty brands. 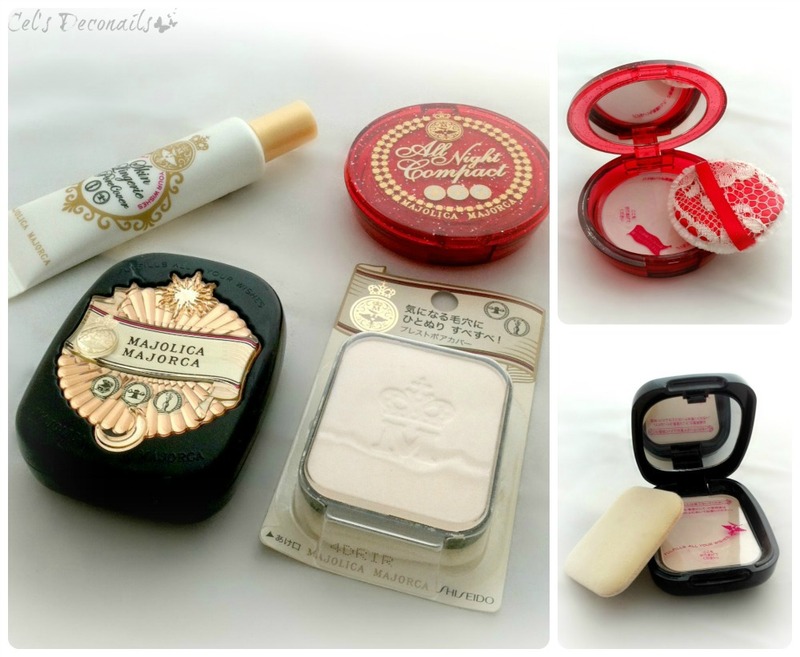 The brand I want to talk about is Majolica Majorca from Japan, the drugstore section of Shiseido, available only in Asian countries like Japan, Singapore, Thailand, Taiwan and Hong Kong. The first thing you'll notice is the fabulous packaging! Gold and black are the main colours but special edition items are even cuter! Let's take a look at some of the products. I will start with their mascaras which in my opinion are top quality. They are some of the best I have ever used, with spectacular results! 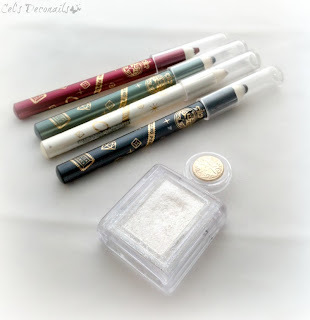 You might have read previous posts where I express my adoration for Majolica Majorca Lash Expander Frame Plus (their top product if you ask me) but I actually own quite a few from their collection. They all have special brushes and work really well. You can see them all, along with brush shots below. The white ones are primers. My favourite is the one in the back. It builds up your lashes, making them look longer. I have tried all of the mascaras above and I am very pleased with all of them. They all do what they promise. Next up are the face products. The star product here (and my second favourite product from this brand) is the Majolica Majorca Pressed Pore Cover compact (the black box). It's a translucent powder that blends with the colour of your skin and give a flawless end result. As you can see, I always have a refill available, as I use this powder almost daily (along with my beloved BB cream). The red compact is the Special Edition All Night Compact. 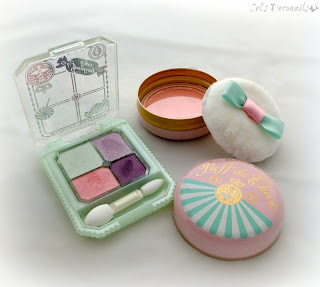 It is also a translucent powder with a hint of shimmer. Perfect for a special occasion or a night out. 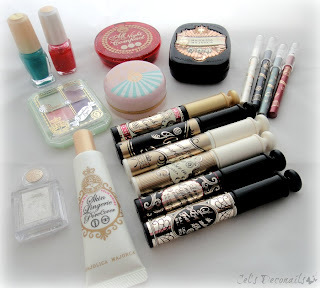 And finally the white tube is the Majolica Majorca Skin Lingerie Pore Cover. it is a face primer with SPF 20. I like it because it's light and it works well with my oily skin. It has a light shade but it blends well with most skin tones. Next up is my small collection of eye products, some eyeliners and my trusted white eyeshadow (I use it mostly as a base). 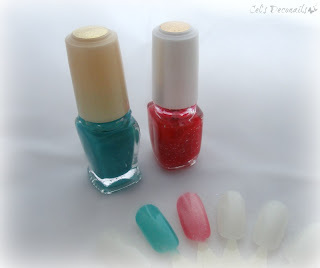 Even though Majolica Majorca has a great range of nail colours I don't own many as I find them very sheer. I only have these two. The swatches are 4 coats without base or top coat yet as you can see they are both quite sheer. They are perfect for jelly sandwiches though! Are you familiar with this brand dear readers? Would you try it? Any products that I haven't tried that you would recommend? ah majo :P so very nice! What a great collection you got there! 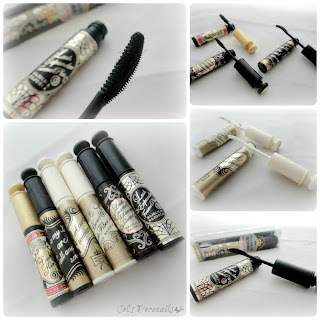 I need to try the mascaras! I have to admit I'm so in love with the packaging!! And it's a lot to me! Loved your post!And of course the mascara hoarder in me just woke up!I love these type of brushes and actually now i want to try them!can we find the products online? I really want to try out the majolica majorca mascara's as I have heard good things about them but I don't think we get them in the UK! fainontai uperoha! thelw k egwwww! Hey. Any idea on where to buy these in Bangkok? Will MBK mall have it?